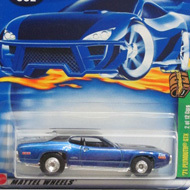 3/12 from the 2002 Treasure Hunt series. 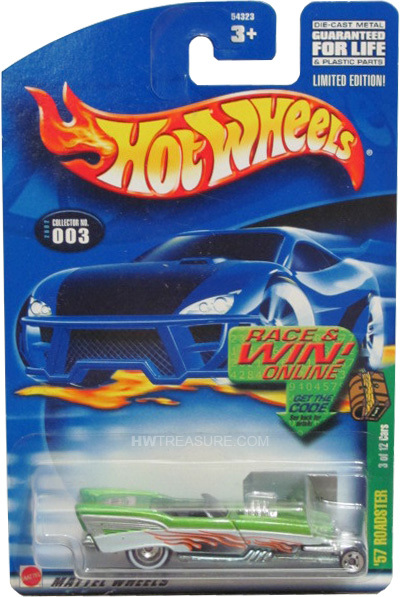 The Roadster has green metalflake paint adorned with white graphics with black and orange flames on the sides and the TH logo on the trunk. 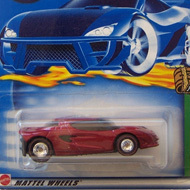 It has a tinted windshield, black interior, 5-spoke micro wheels in front, white line Real Rider wheels in back, and an unpainted Malaysia base.